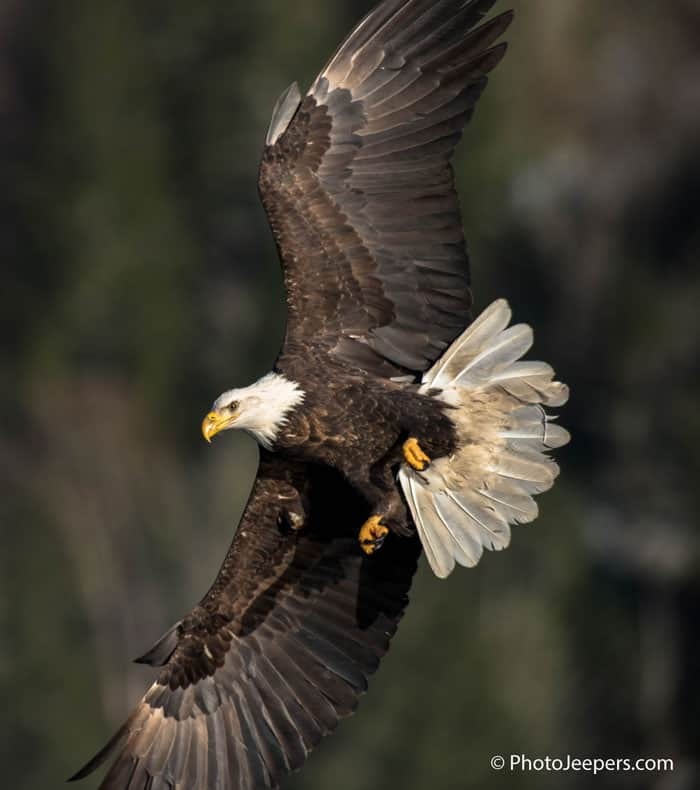 I love American Bald Eagles. Since childhood I have been fascinated with these majestic birds. This fascination is rooted in a passion for living creatures. 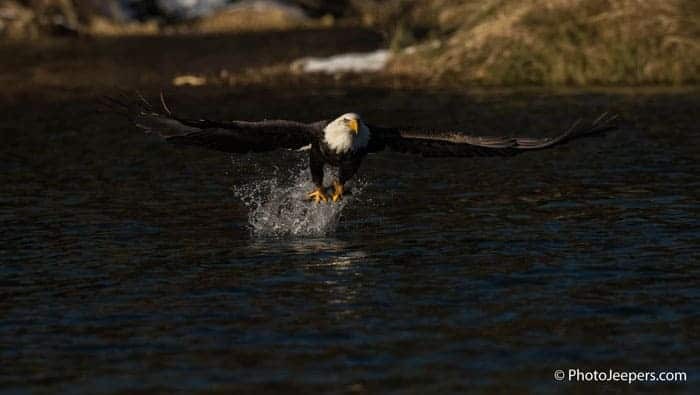 The connection of the American Bald Eagle with the United States of America and its use as a symbol of freedom certainly fires my patriotism and deep love of country. Beyond that, they just look really cool. 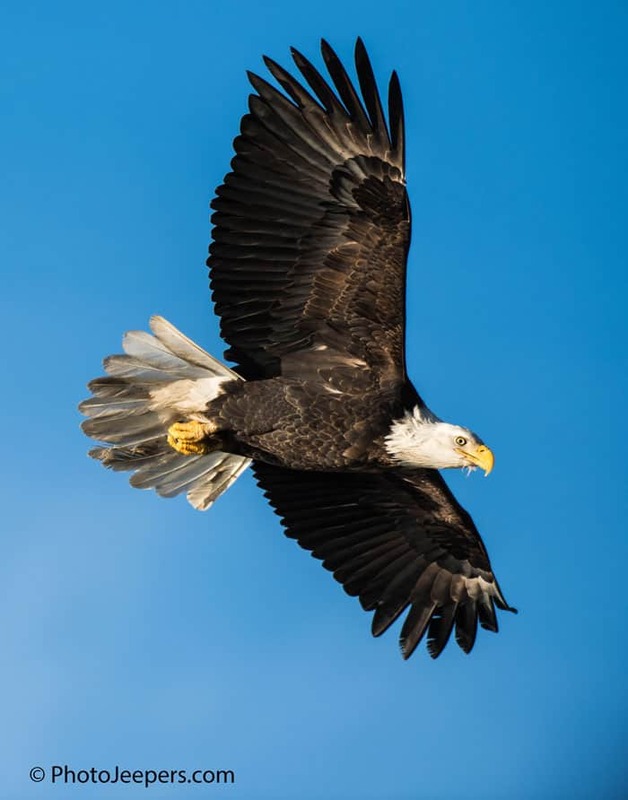 I have struggled for years to capture my own quality images of Bald Eagles with very limited success. Local opportunities to photograph them in natural habitat at any kind of reasonable distance are extremely difficult to find and require some amount of my old evasive nemesis, good luck. 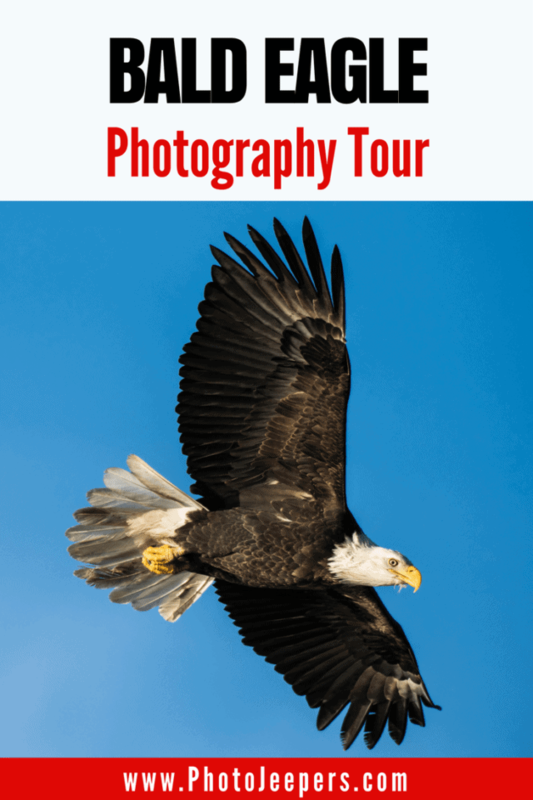 A Bald Eagle Photography Tour? Sign Us Up! 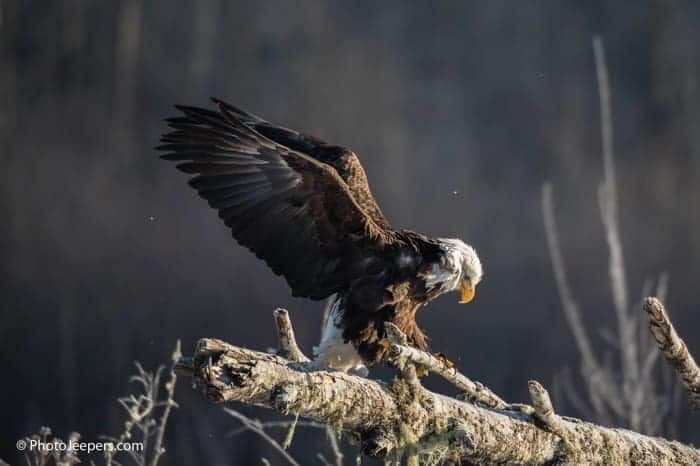 When Jamie approached me with the opportunity to participate in a Bald Eagle Photography Tour in northwestern Washington I was amazed. 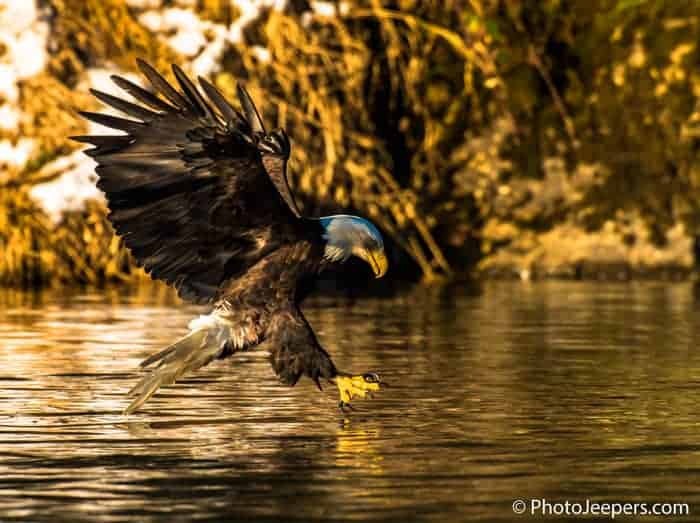 Someone hosts a tour to photograph eagles? To say I was excited at the prospect would be an understatement. The more Jamie explained the details the more eager I became. 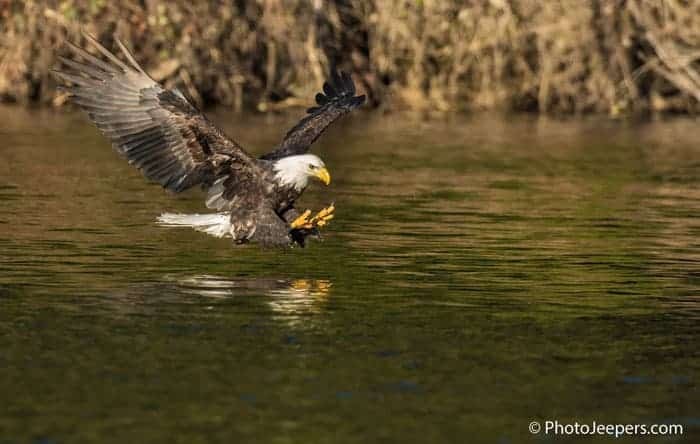 The opportunity to observe and photograph Bald Eagles in natural habitat from a boat would be absolutely enthralling. On top of that it would be an opportunity to visit Seattle and the northwestern part of Washington. “Sign us up!” I cried. The trip was everything I’d hoped for and more. We arrived in Seattle a day before the start of the tour since neither of us had visited the city before. Exploring Seattle on a week day in January was great because it provided an uncrowded and relaxing experience. For us, travel and photography go hand-in-hand so we share our Seattle Day Trip Itinerary. The article details our exploration of a fun, eclectic city with tips to photograph iconic sites and colorful and unique art. The next day began the Photo Tour. Right off the bat I learned a couple of photographic methods that improved my success dramatically. 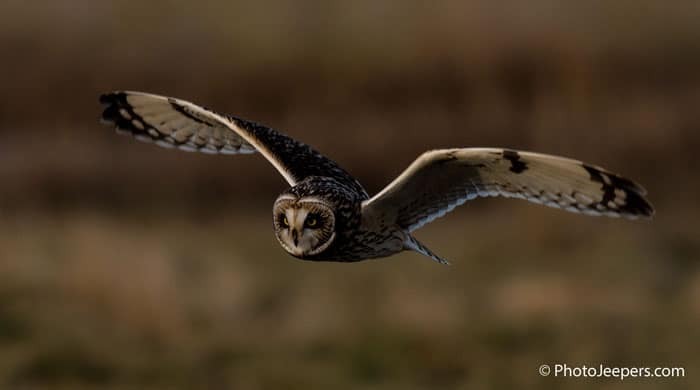 The host, Aaron Baggenstos of Aaron’s Photo Tours, is an accomplished and experienced Wildlife Photographer who shared tips and techniques in the field about photographing birds in flight that greatly improved my skill and knowledge. 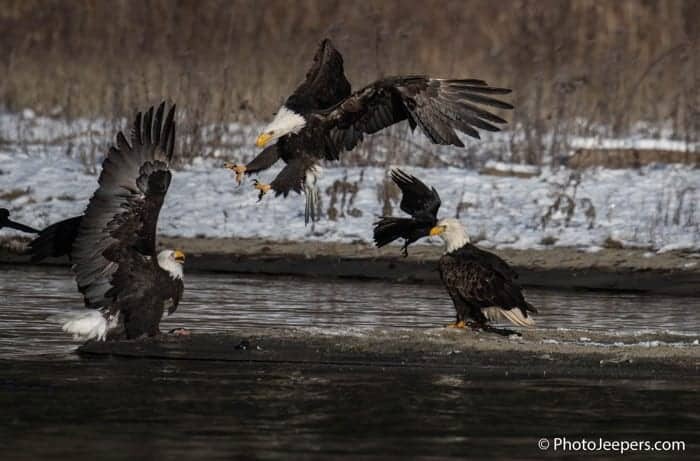 The group had numerous opportunities to photograph American Bald Eagles, Short Eared Owls and Snow Geese. 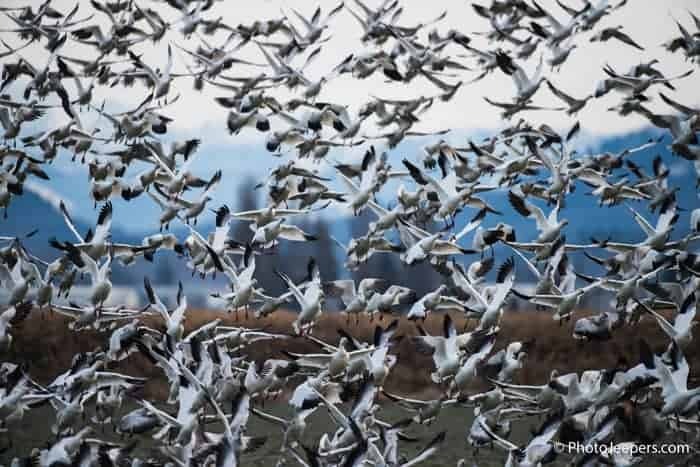 The close proximity to the birds in their natural habitat was incredible. The weather cooperated, the country was gorgeous and the company great. 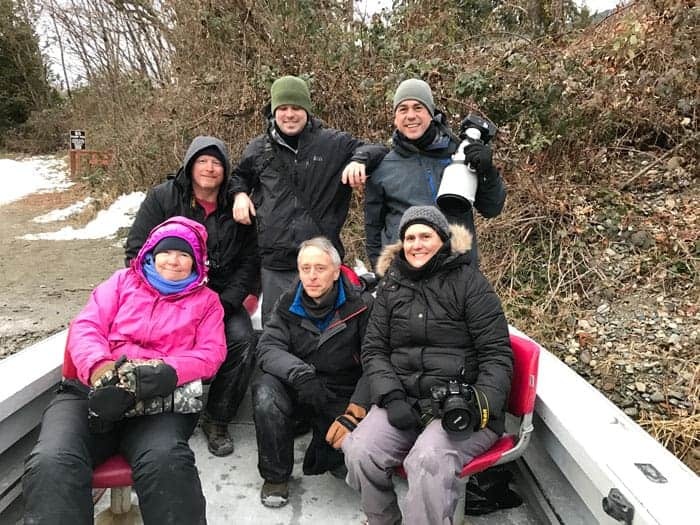 The three days our small group spent on the Skagit River with the guide service was a dream come true for me. 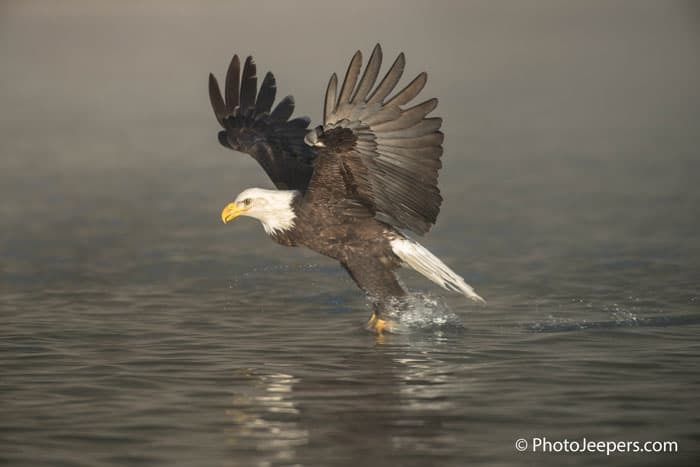 We were inundated with opportunities to photograph Bald Eagles engaged in a variety of behavioral activities. As I sat in the boat, floating on the river, I felt at total peace within the encompassing realization of a life’s calling. The awesome magnificence of nature surrounded me: the swirling waters, misting fogs, dancing eagles and white-capped mountains. It was a scene from a novel, the quieting dream entertained by a weary brain on cold and stress filled nights. I felt as though I could float the river for eternity bobbing and swirling within a metal boat. The core of it all was the opportunity to spend a week with my soulmate and best friend pursuing a passion. It was the kind of week that makes the rest of life worthwhile and provided a strong taste of a desired future. The one down side? It concluded and we had to go home. We brought with us thousands of incredible images and wonderful memories. For me, though, the experience was life changing. My eye is truly aimed ahead, with hope and passion. 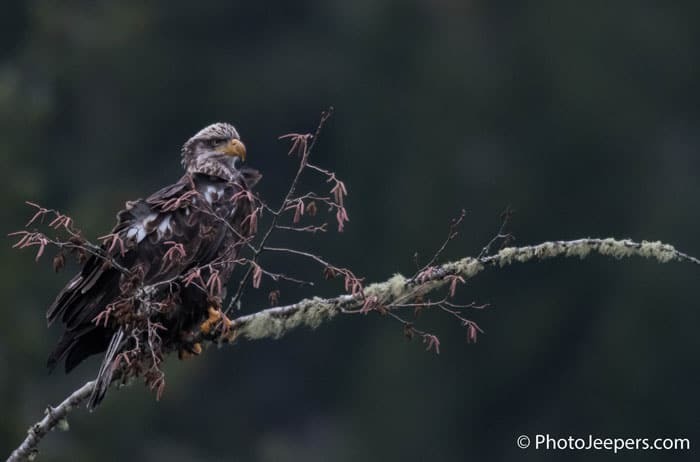 Aaron personally conducts countless hours of research while scouring North America and beyond, with his camera, to find the best nature and wildlife destinations so that you don’t have to. He’s scouted hundreds of accommodations to ensure they are comfortable, and in the ideal locations. He understands there are different learning styles and takes special care to tailor his instruction for each group. Aaron works well with all demographics including seniors, beginners, and seasoned professionals. Jamie does not consider herself a photographer and intended to simply enjoy the experience as an observer only. Aaron urged her to use the other camera body we had taken and give it a try. He helped her with the settings and took time to work with her. Jamie captured an incredible fight scene with the eagles thanks to Aaron’s commitment to making the tour a memorable one for everyone. Small groups of 6 provide an intimate experience with nature. This means more one-on-one time and personalized attention from Aaron and closer, more pronounced interactions with nature. The small group also allows time for members to interact and really get to know each other. We enjoyed collaborating with everyone in our group, and hope to do another photo tour together with Aaron in the future. Aaron is the one in the green hat. 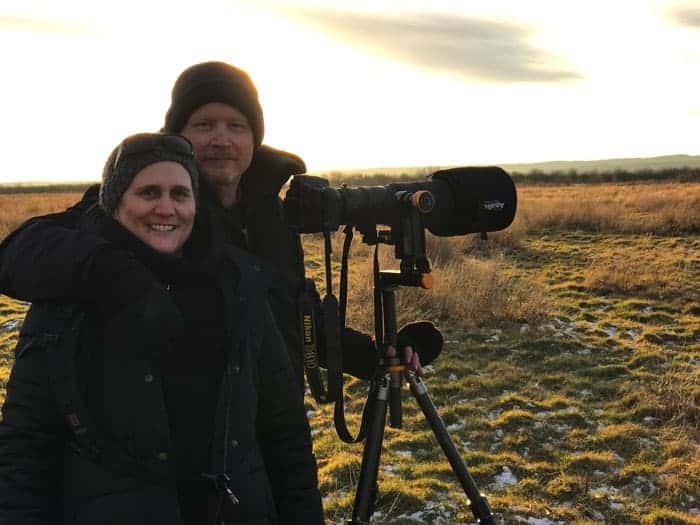 Aaron has an extensive network with fellow nature photographers, friends, and companies, which enables him to get timely updates about the best shooting locations and times of day. 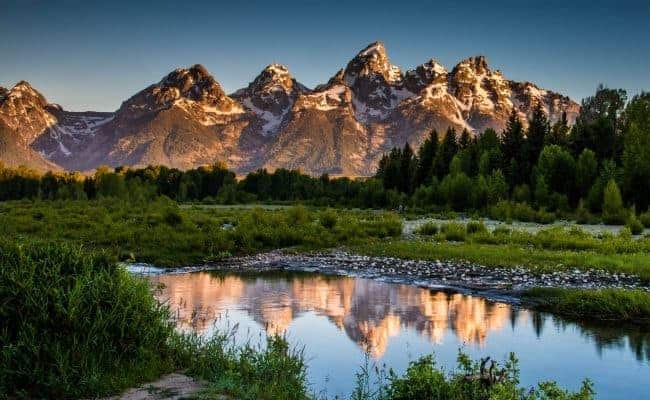 He has also been granted access to privately owned lands and obtained special use permits to areas in select locations that are otherwise inaccessible to the individual. Aaron stays current with the ever-changing photography industry. He enrolls in courses to continually improve his software knowledge (Photoshop & Lightroom) and new shooting techniques (focus stacking & HDR). Each night after a day of photography, Aaron spends individual time to review your photos for the day. He shares processing tips and techniques to try the next day to improve or enhance your photos. Basically, WE LOVE AARON! And others do too. Two members of our group had done multiple previous tours with Aaron. That is the best testimonial you can get. We are saving now to participate in his Africa Wildlife Safari Tour in a few years! We spent 3 mornings with Wayne on the river, and 3 full days with Melissa, the owners. Their repeat clientele is one of the highest in the business because they go the extra mile to gain your trust and a return visit. Wayne is masterful at positioning the boat in just the right spot for the best photo opportunity. Melissa is warm, friendly and outgoing. You become an instant friend after a short time visiting with her. 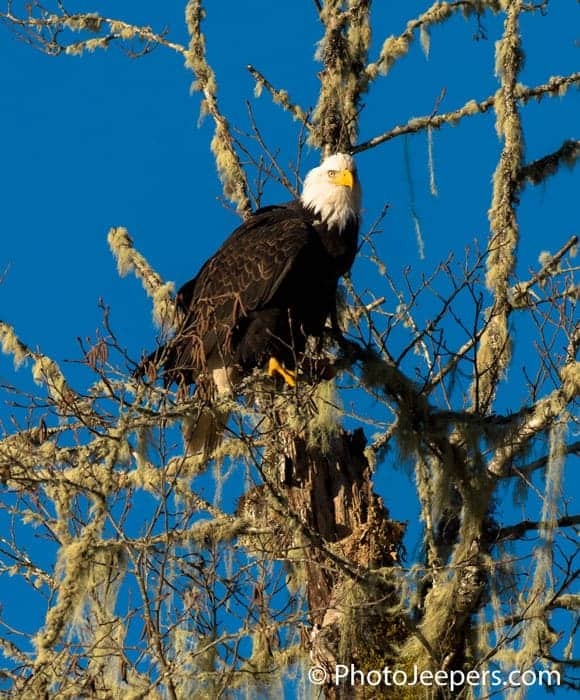 They are a fully licensed and insured outfitter and have a permit from the U.S. Forestry Service to provide fishing and scenic tours on the Skagit and Sauk Rivers. Wayne is a licensed Captain by the U.S. Coast Guard, with a 100 ton Masters. All guides are CPR and First Aid trained. Before the tour ended, we were already planning a return trip for next year! Our Winter Gear Guide details all the clothing and footwear you could need to be prepared for the Pacific Northwest weather of snow, rain, or high winds. The Skagit River tour is in the mountains near Rockport, Washington. It was not raining, but VERY COLD with snow on the ground during our time there. The group that had gone one week before us experienced a bit warmer weather, but it rained the entire time. It was important to be prepared for any type of weather for this tour – the key was packing and wearing layers! 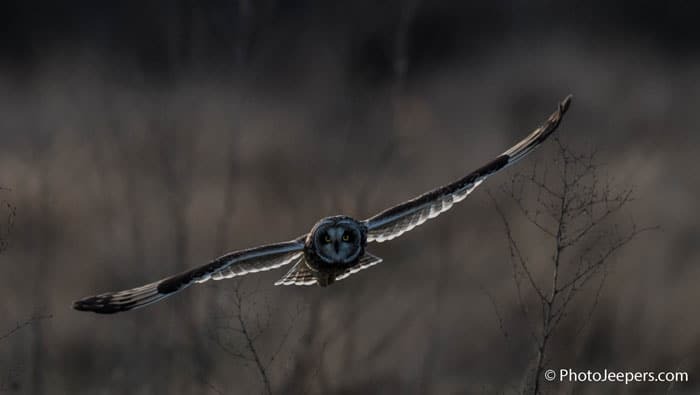 Birds of prey are magnificent creatures. 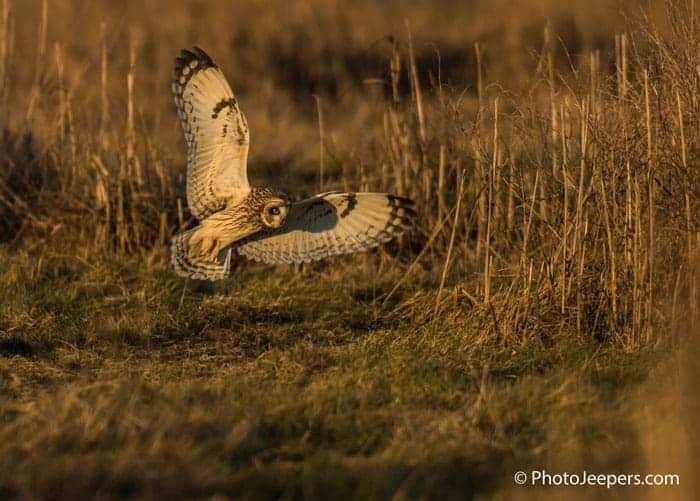 Photographing bald eagles and short eared owls in Washington was simply a dream come true. Enjoy a few more photos from our spectacular experience! Photo Jeepers has a Travel Photography Board on Pinterest. We only pin things we read and find worthwhile. Use our board to find other Travel Photography resources. During my years as a Utah Highway Patrol State Trooper, I received significant amounts of training and experience related to driving. I have been designated the main driver for all our adventures. I can tackle any terrain in the Jeep, but I always gravitate toward water and mud. I have a degree in graphic design and years under my belt as a travel photographer. 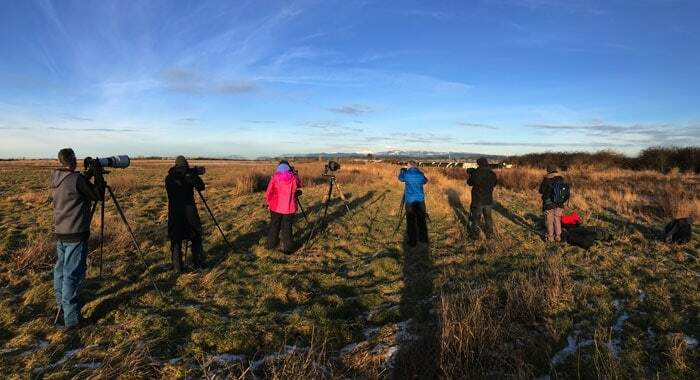 I firmly believe that one of the most basic concepts in photography is to photograph what you love, which for me are landscape and wildlife images. I really respect photographing wildlife, as it often requires long time patiently waiting for the right moment in unconvenient weather conditions. Again, amazing photos from you guys! Thank you, Kat. 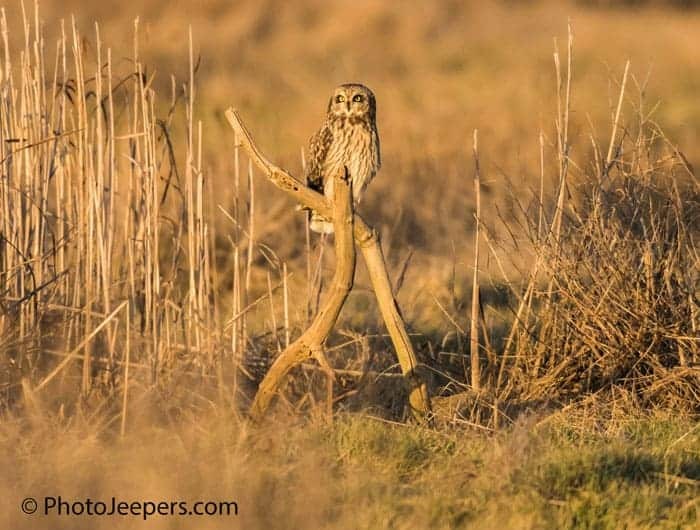 Yes, wildlife photography requires PATIENCE and PRACTICE. Watching wildlife in their natural element is amazing!